Become a Nerium Brand Partner today! Have you dreamed about owning your own business? Now is the time to make that dream a reality. Don’t Miss Out On The Benefits Of This AMAZING Product & Business Opportunity! Nerium International now has three AMAZING Products, NeriumFirm Body Contouring Cream, NeriumAD Age-Defying Treatment, and NeriumAD Age-Defying Day Cream all with proven results. The product sells itself, you just need to share it! Become a Nerium Brand Partner today and receive 15 NeriumAD Night Cream, 6 Nerium Day Cream with the Nerium Premier Success Pack! You will have immediate access to your own personalized website along with all the training and marketing materials needed to get started. CALL NOW! 1-805-888-5225 and start your new business today! The Premier Success Pack contains the marketing materials and digital tools you need to get your business up and running! This pack includes 15 bottles of NeriumAD Night cream and 6 bottles of NeriumAD Day Cream. That’s 21 bottles of product to help you launch your new Nerium business. LIMITED TIME OFFER! Sign Up as a Brand Partner and start your new business today! The Success Pack contains access to many of the marketing materials and digital tools you need to get your business up and running! This Success Pack includes 7 bottles of NeriumAD night cream, 3 bottles of NeriumAD day cream. That’s 10 bottles of product to help you launch your new Nerium business. LIMITED TIME OFFER! You will have immediate access to your own personalized website along with all the training and marketing materials needed to get started. CALL NOW 1-805-888-5225 and start your new business today! Nerium International is truly a global company and growing at an unbelievably rapid rate. We currently have Brand Partners throughout the United States, as well as all U.S. Territories, including Puerto Rico, Guam, American Samoa, the Virgin Islands, and the Northern Mariana Islands. We plan to continue our international expansion in 2013. As such, we are busy translating our materials and websites to accommodate the various languages our Brand Partners speak. We currently provide business materials in English, Spanish, Korean, and American Sign Language (ASL). 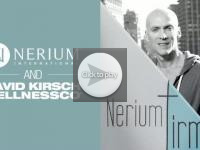 Utilizing biotechnology research and new breakthrough extraction technology, Nerium SkinCare, a division of Nerium Biotechnology, formulated and developed a complete line of products that harnesses Nerium oleander¹s unique and effective properties. 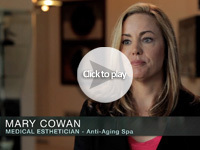 They have since partnered with Nerium International to build a world-class brand of skincare products. The partnership between Nerium SkinCare and Nerium International empowers our Independent Brand Partners to market exclusive, cutting-edge products. 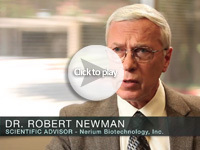 To fund ongoing research, 30 percent of Nerium International¹s profits are given back to Nerium SkinCare. This money ensures further research in skincare applications and provides additional funding for biotechnology and humanitarian research. Real People: Nerium International is comprised of a broad team of experienced founders, executives, and home office support personnel that is passionate about empowering our Brand Partners success. The Nerium leadership team has over 150 combined years of expertise in the relationship marketing industry. Because our founders have such vast knowledge in this space, we have only implemented the systems and practices into Nerium International that are proven to work best. For Nerium International, making people better means establishing a business that can bring real change to your life, your skin, and your personal and professional development. That’s why we built Nerium International: to offer quality products backed by real science, a lucrative business opportunity, and endless resources to aid and encourage personal development. We aim to help people grow and improve inside and out. Implementing our core values will help this process by sharpening multiple areas in your life, strengthening relationships, and setting a high bar for the way you conduct business. At Nerium International, our mantra is real: getting real, being real, and creating real change. But we also want to attract genuine people who can be themselves and have fun. Believe in your dreams enough to get outside your comfort zone. Remember to live life on your own terms. seriously, but we are also a fun-loving family. In our business, it’s important to stay the course. Our outlook is such that obstacles are only opportunities in disguise. selfless service, because that’s what a family does. Haste makes waste. Slow and steady wins the race. Get the job done right the first time. Quality over quantity. You get the idea. We know it’s important to stay one step ahead and continually evolve. Change is necessary for growth, as a business and as a person. So we will always seek new ways to grow and improve. International grows as a brand, and that’s how we want our people to grow, too. Nerium consists of real people with a can-do attitude who want to create real change. Having fun helps work not feel like work, which makes us more productive. 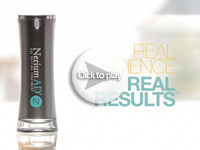 My wife is currently a brand partner with Nerium as of 9/18/14. I’m on as a co applicant. My question is; can I also sign up as a brand partner via the $99.95 launch kit since we already signed her in with the Supreme kit at $999.95. I wish to also receive the benefits of signing up other members. We are working together on this but, all communication is directed solely to her. I wish to sign up as a brand partner but through her .